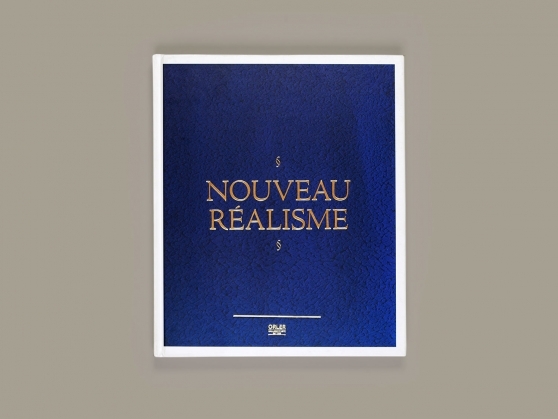 Visionnaire celebrates its fifteen years with an exceptional project that takes on the characteristics of a precious author’s book: published in a numbered series, the volume presents the ten founding values ​​of the company, defined through an overall vision that has the strength of a creed. 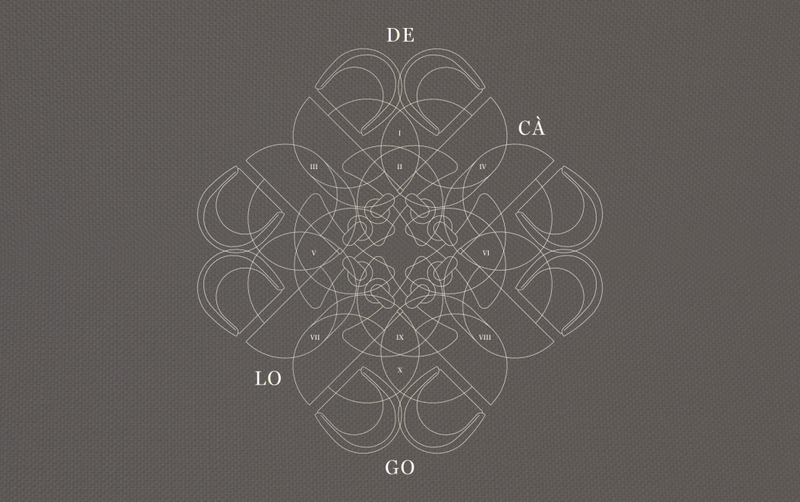 “Decálogo” is the result of a refined choral work that welcomes contributions of absolute prestige: edited by Barbara Brondi & Marco Rainò and with the graphic design of BRH+, the book is embellished with a series of ad hoc contents, which include a photographic work by Delfino Sisto Legnani and the critical thoughts of Felix Burrichter, Leon Sun and Natalia Timascheva. Conceived and curated by Barbara Brondi & Marco Rainò exclusively for the Torino Chamber of Commerce in collaboration with the Piemonte Agency, the collection of everyday objects MARCA is the result of a synergetic work between some of the best Turin designers and manufacturing companies located in the same metropolitan area. In the context of Ventura Future at BASE Milan, MARCA presents the new product “Vittoria”, designed by Stefano Cerruti of Bottega Studio Architetti and created by Quadrilatero, as well as a special edition of the “Aurora” lamp by Nucleo for Caino Design and the curtain “Crocetta” designed by lamatilde for Tappezzeria Druetta. 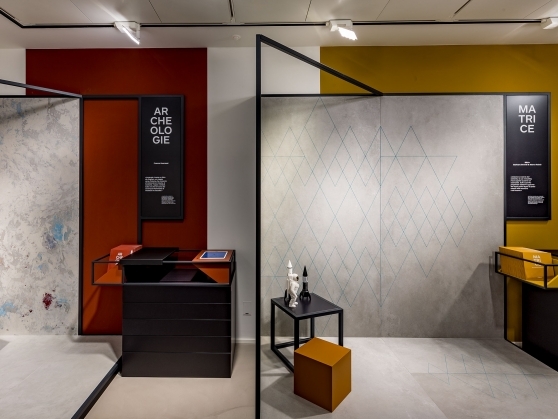 Conceived as an architecture-frame characterized by a central plan, the installation designed by BRH+ for CEDIT presents a preview of the new ceramic tile collections designed by Cristina Celestino and Federico Pepe for the company. Composed of rotating elements useful for creating different environmental scenarios and included in a space delimited by a linear textile curtain, the structure is an integral part of a performance choreographed on the basis of an extraordinary original soundtrack written and performed by Teho Teardo. 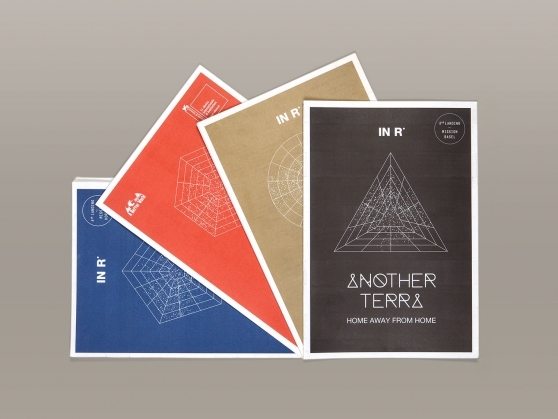 The December 2018 issue of Icon Design contains a new “episode” of the recurring column Pensiero Radiale dedicated to investigating some project solutions connected to the theme of the globe, and another text written by Marco Rainò entitled Scrigno Mollino. 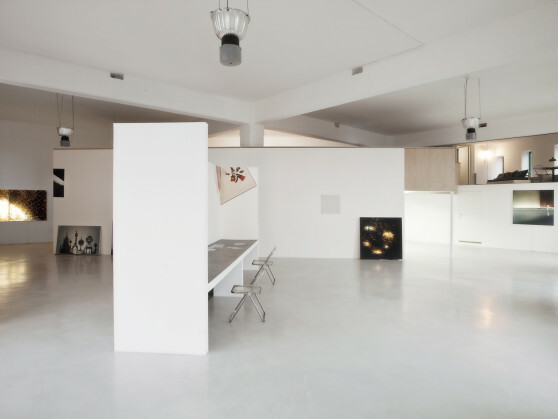 This article – illustrated by Fabrizio Vatieri’s photographs – proposes a textual reflection on a visit to the archive that preserves memories and precious works by Carlo Mollino, one of the most mysterious and visionary Italian architects of the twentieth century. 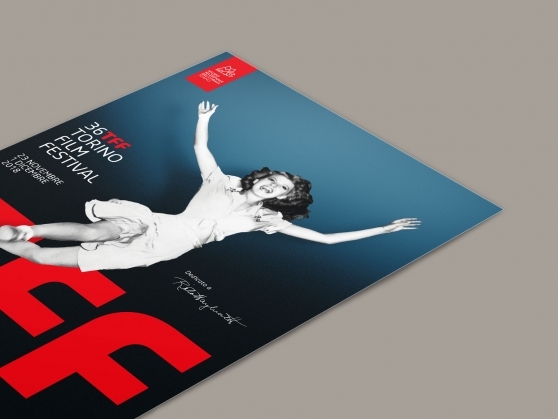 BRH+ designs the visual communication of the 36 Torino Film Festival. This edition is dedicated to one of the greatest 20th century divas, Rita Hayworth, a hundred years after her birth. 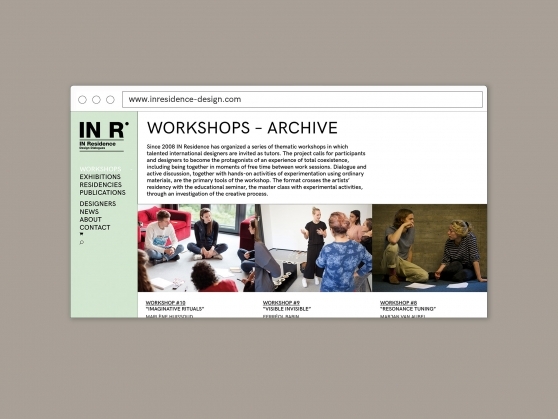 After ten years of experiences (2008-2018) dedicated to research, thinking and experimentation in contemporary design, IN Residence – the program initiated and curated by Barbara Brondi & Marco Rainò – plans a new season of didactic activities, cultural dissemination and engagement in Talent Scouting that, starting from the original format, pursue the goal of an innovative course. 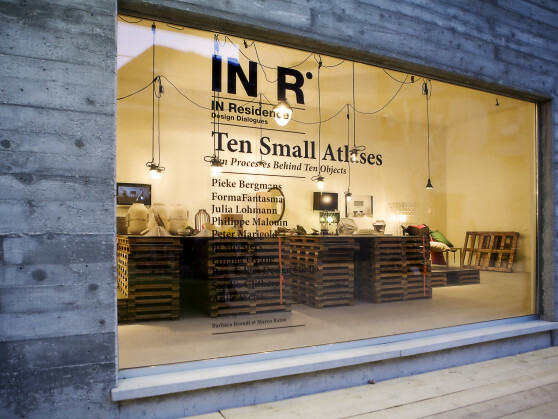 The new IN Residence Web Site with all the updated news is on-line! 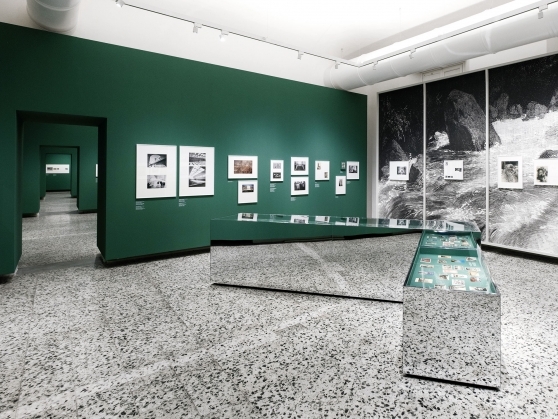 Luca Molinari, Director of the magazine Platform – Architecure and Design, is the author of the article that describes the set-up design by BRH+ of the exhibition dedicated by CAMERA to the photographic work of Carlo Mollino. 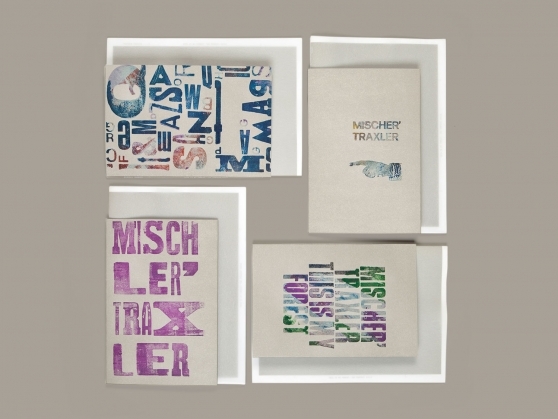 The beautiful text, along with some pictures, is published in issue 19 of the magazine, now on sale. 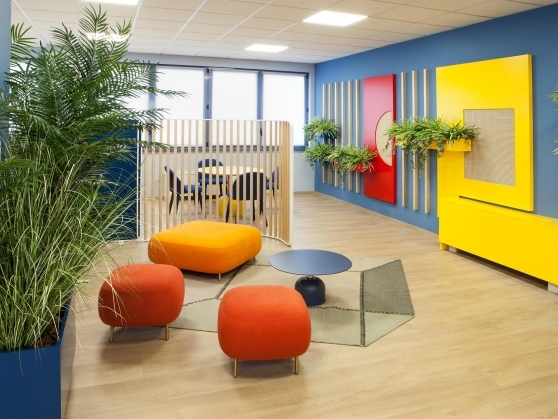 Bandiere eloquenti is the title of the new article for Pensiero Radiale – the column by Marco Rainò – published in September 2018 issue of Icon Design (Mondadori). 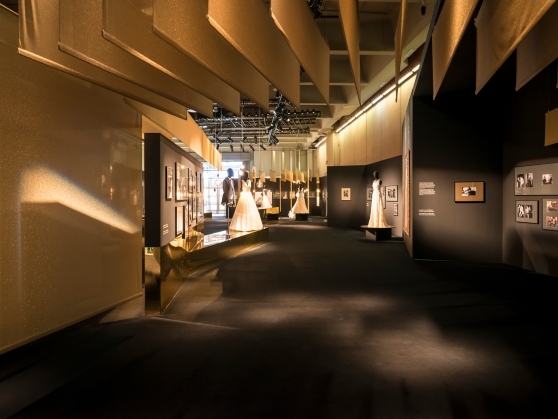 During Milan Bridal Week 2018, at Fiera Milano City, BRH+ designs the installation of the exhibition History of a Dream, an event that celebrates the 50th anniversary of Maison Carlo Pignatelli. 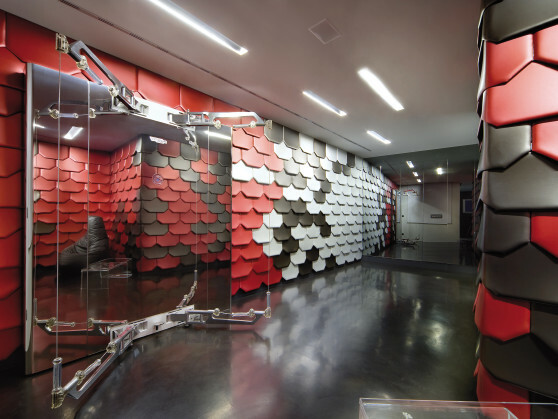 On February 21, 2018 IQOS Embassy Torino hosts the third and last episode of the series of events Pensiero Radiale inspired by the column with the same name on ICON Design. 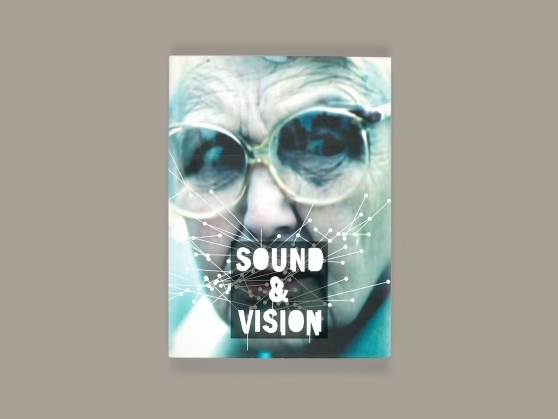 Marco Rainò ends this cycle of tales referred to cross-disciplinary design with a collection of stories about invention. 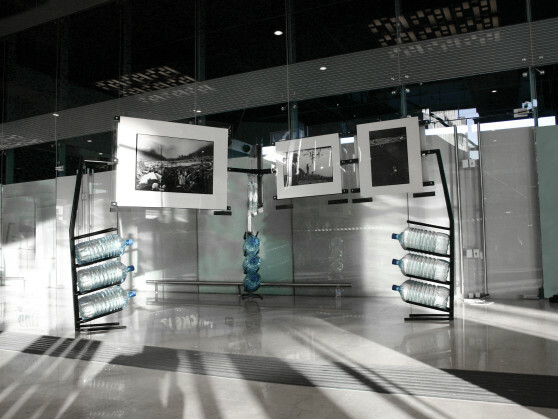 The Graphic Design, Visual Communication and the Installation Design of the new exhibition at CAMERA – Centro Italiano per la Fotografia are realized by BRH+. 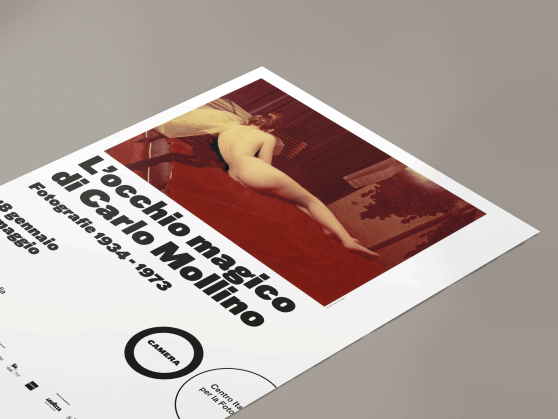 L’occhio magico di Carlo Mollino. 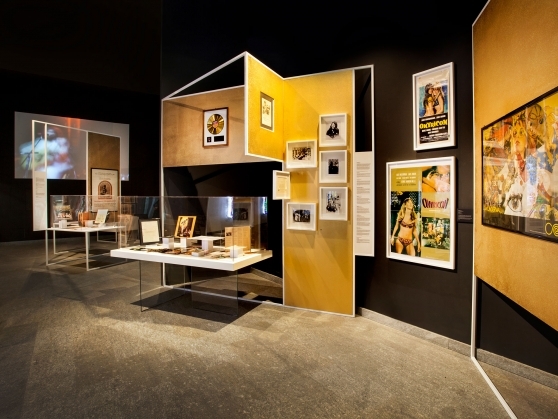 Fotografie 1934-1973 will open January 17 and shows the photographic production of the renowned architect from Torino. The second episode of the series of events Pensiero Radiale taking place at IQOS Embassy Torino is scheduled for January 18, 2018. 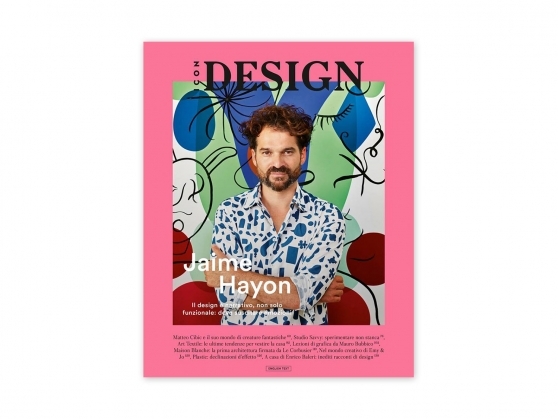 Marco Rainò, author of the column with the same name on Icon Design magazine, is protagonist of a storytelling dedicated to the cross-disciplinary art of design, reflecting on the topic of exploration, title and key-word of the event. 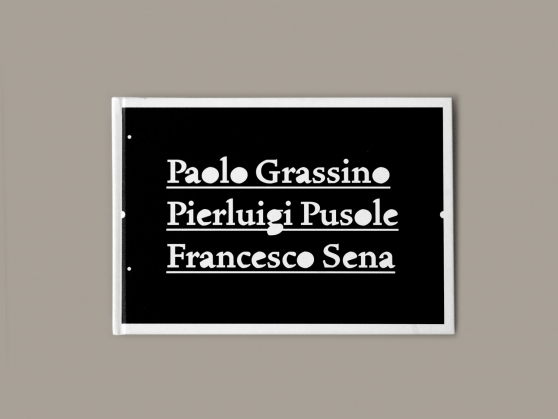 Pensiero Radiale is a tale, a flow of concatenated stories about cross-disciplinary design and visionary poetics of human genius. 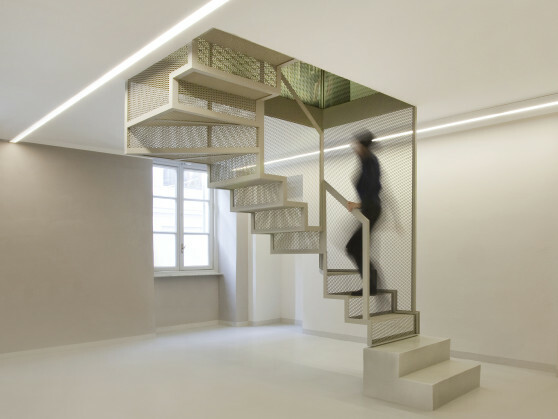 The Icon Design column by Marco Rainò becomes a narrative meeting for IQOS Embassy Torino, structured in three episodes: December 6, 2017, January 18 and February 21, 2018. 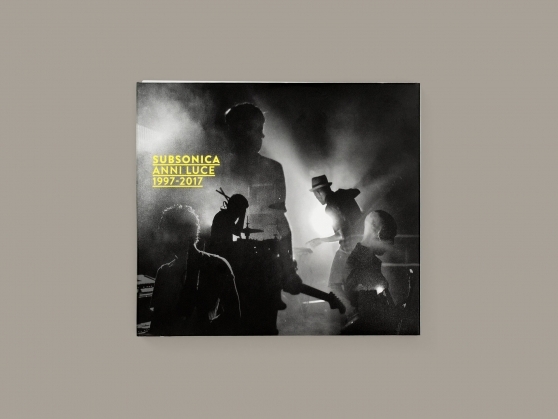 BRH+ was in charge of the Art Direction and Graphic Design of a new triple album by Subsonica featuring a collection of songs that celebrate the twentieth anniversary of the band. Anni Luce 1997-2017 is visually identified by a conceptual mix of original photo shoots. Marco Rainò is the guest of the fifth edition of the festival Conversazioni sul futuro. 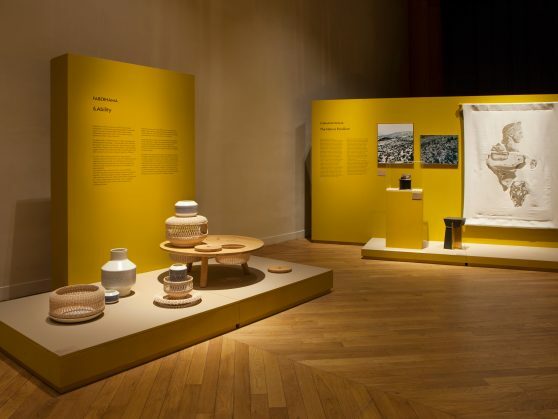 Hosted in the refined context of Teatro Paisiello in Lecce, the event – entitled Utopia Contemporanea – has been conceived as a “mise en scène” of Pensiero Radiale, the column of thematic writings created for Icon Design. Ten contemporary talismans designed by ten internationally renowned designers and commissioned by IN Residence are on display at the Choir of the Church of Santa Pelagia. 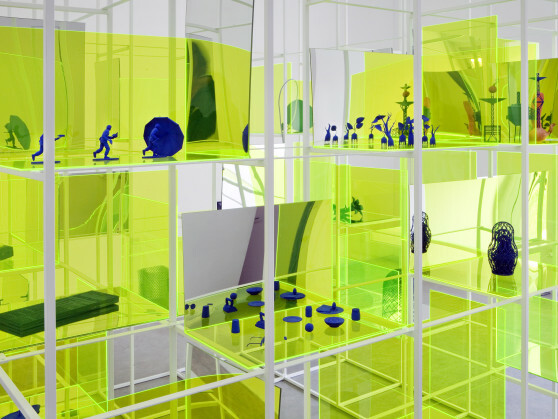 For the occasion Barbara Brondi & Marco Rainò will present a voice and visual narration about the evocative power of a talisman, identified as an artifact where the explicit capability of the design process gives form to a complex narration and cultivates significant rituals. The event will also feature original thematic voicing composed by Max Casacci. 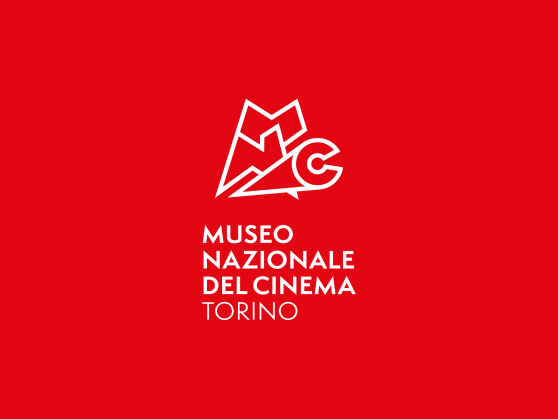 The event is part of the official Torino Design of the City programme. Istantanee d’utopia is the title of the new article for Pensiero Radiale – the column by Marco Rainò – published in the October 2017 issue of Icon Design. 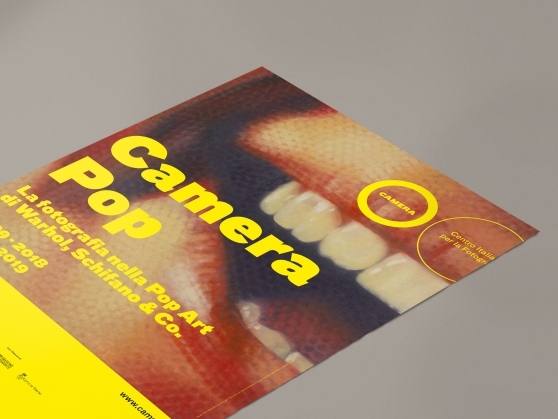 BRH+ designs the visual communication for the new exhibition at CAMERA – Centro Italiano per la Fotografia. 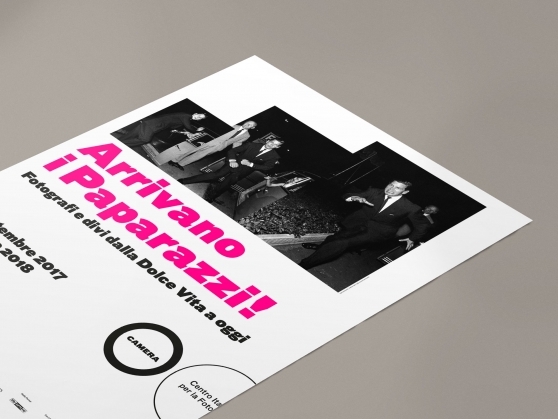 Arrivano i Paparazzi! 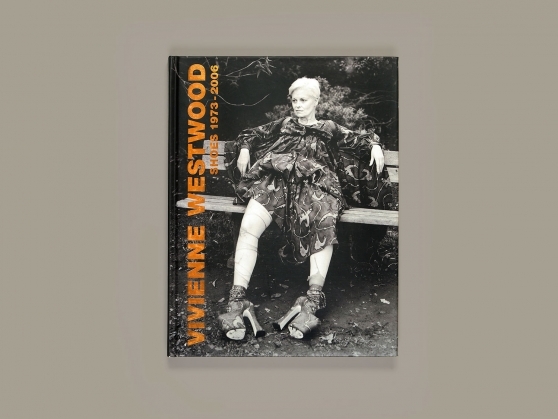 Fotografi e divi dalla Dolce Vita a oggi features 150 shots – from historical images to projects by contemporary artists – to narrate the world of photographic muckraking. 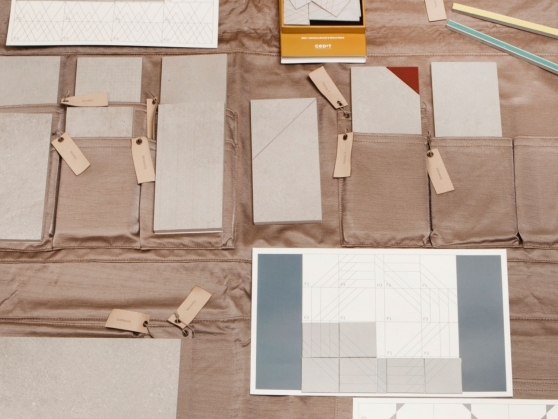 BRH+ designs the Summer Curiosity Box: Upside Down. 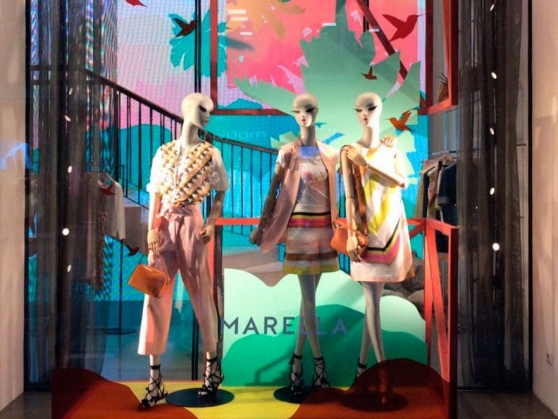 Installed in the stores in Milan, Venice and Paris, this colorful overturned microcosm is the new landscape of the summer collection by MARELLA. 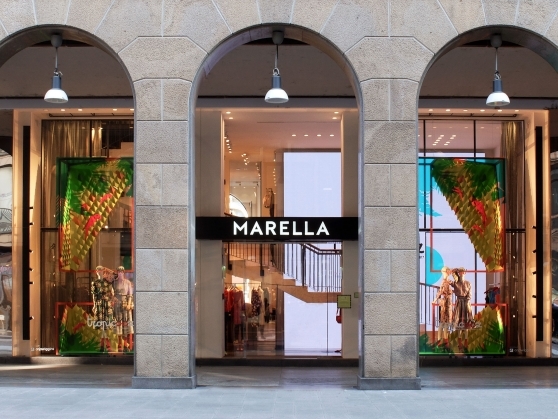 With the project Tropical Curiosity Box: Paper Plumage, BRH+ designs for the fashion brand MARELLA the shop window system dedicated to the new Capsule Collection TropicOOz designed by the illustrator Olimpia Zagnoli. 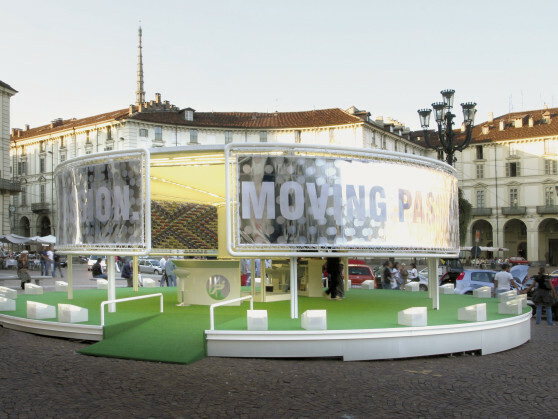 Launched in the days of the design Week, the shop windows of the Flagship Store in Milan reveal in advance the set-up for the Paris Store. 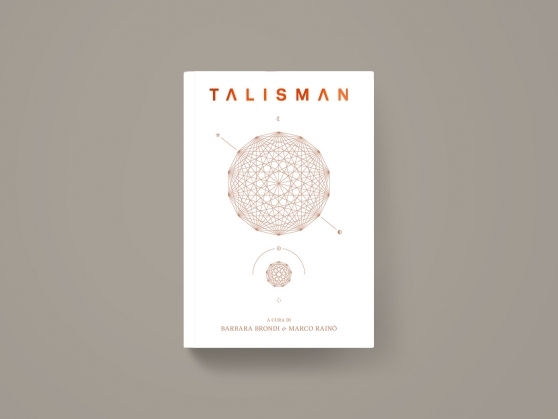 In parallel with the group show at Palazzo Clerici, the publishing house Corraini releases the book TALISMAN – Contemporary Symbolic Objects. 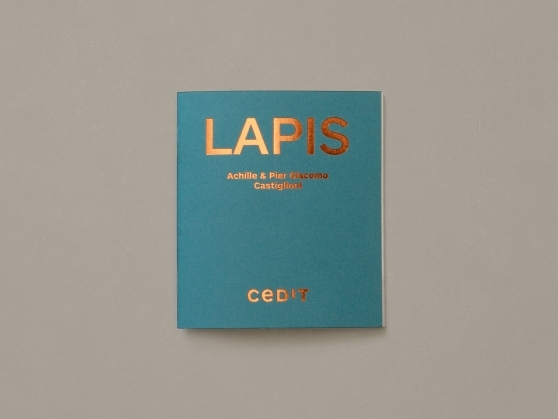 Edited by Barbara Brondi & Marco Rainò and designed by BRH+, the precious volume includes a series of critical interpretations of the theme, while illustrating the 46 contemporary talismans specially created for the exhibition-event of the same name. 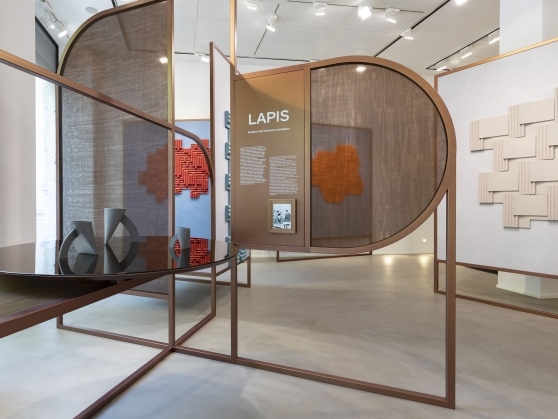 At the end of the exhibition on view during the days of Design Week in Milan, the 46 talismans on display will be the protagonists of an auction open to the public. 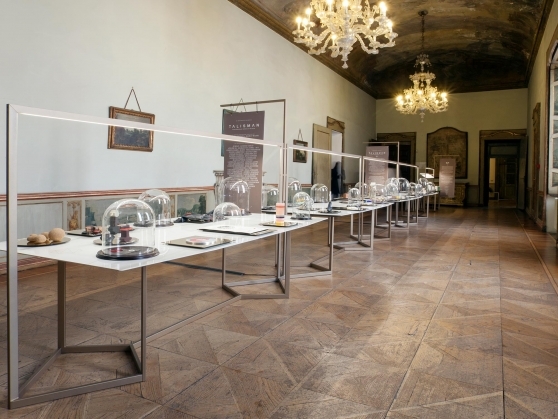 The event, presented by the Swedish auction house Örnsbergsauktionen for IN Residence, will be held in the extraordinary setting of the Sala Arazzi of Palazzo Clerici. 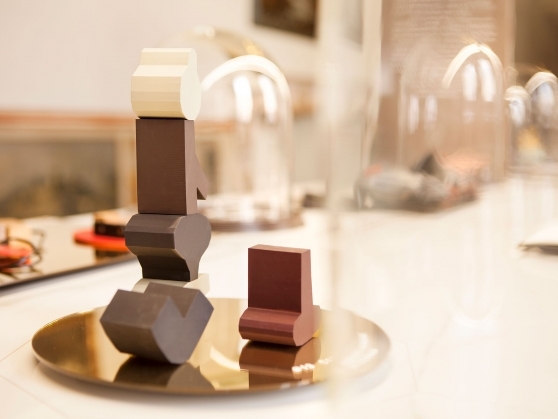 Visit talisman.inresidence.it to discover all the talismans and do the pre-bidding to purchase them. The Design Collection MARCA, initiated and curated by Barbara Brondi & Marco Rainò for the Torino Chamber of Commerce, presents in the context of the Superdesign Show in Milan two products: the rug Dora, resulting from the creative collaboration between Fashion Designer Serienumerica and Battilossi with Laboratorio Luparia, and a special edition of the Aurora lamp, designed by Nucleo and realized by Caino Design. 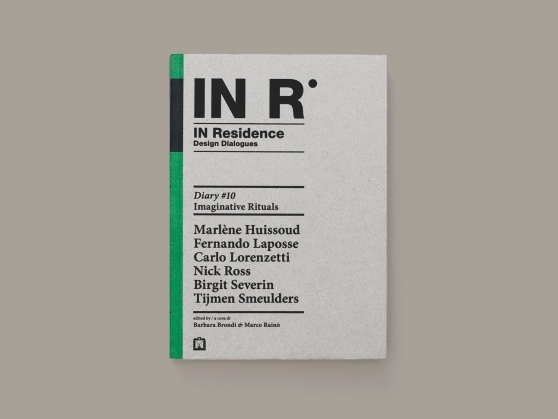 The tenth book of the IN Residence. 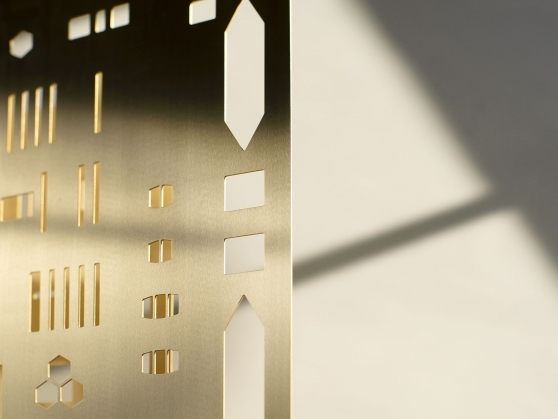 Design Dialogues collection, published by Corraini, will be launched on the occasion of the Milan Design Week. 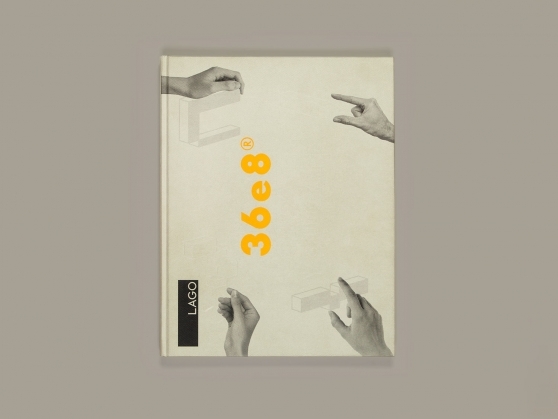 The book – edited by Barbara Brondi & Marco Rainò and designed by BRH+ – features works by designers Marlène Huissoud, Fernando Laposse, Carlo Lorenzetti, Nick Ross, Birgit Severin, Tijmen Smeulders and narrates the days of the thematic workshop Imaginative Rituals. 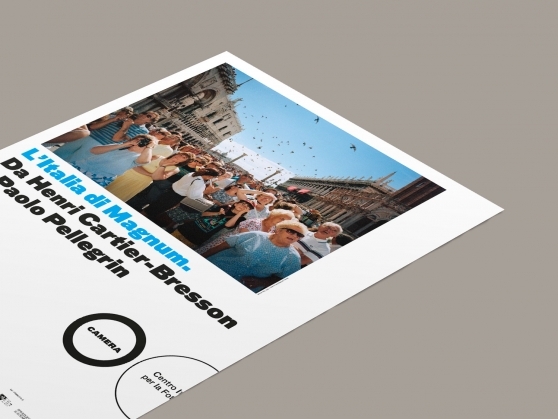 The new identity of the visual communication of CAMERA – Centro Italiano per la Fotografia is conceived and designed by BRH+. 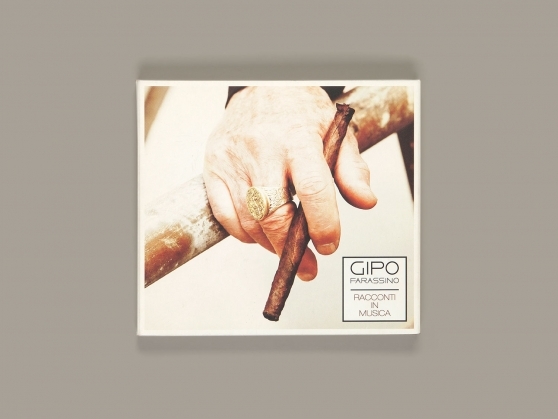 The first exhibition showing the new graphic design is: L’Italia di Magnum. Da Henri Cartier-Bresson a Paolo Pellegrin, a group exhibition that pays tribute to Magnum Photos, the most important and influential photographic agency in the world. 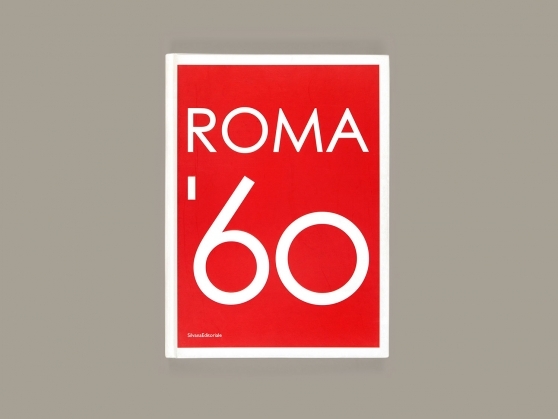 BRH+ conceives the identity for the visual communication of Samuel’s Tour – in Italy and abroad – and designs the official merchandising: the typographical alphabet designed ad-hoc finds new applications on T-Shits, Posters and others products, made in series or limited edition. 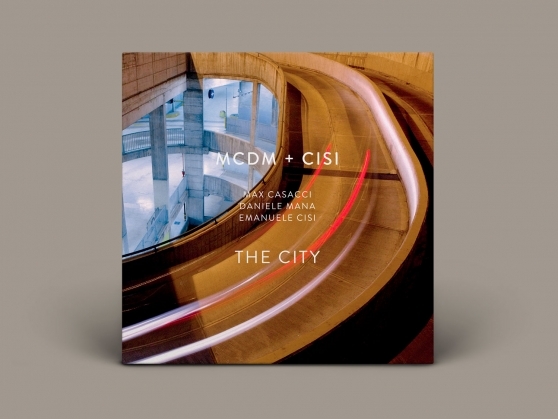 The City is the title of the new, extraordinary musical experiment Max Casacci and Daniel Mana (MCDM) developed in collaboration with saxophonist Emanuele Cisi, with the participation of the most talented contemporary Italian jazz musicians – including Enrico Rava, Flavio Boltro Furio Di Castri and Gianluca Petrella. 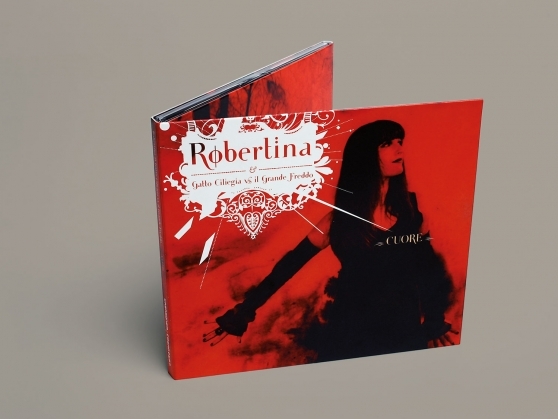 The art direction and graphic design of the disc, released in digipack and vinyl for the label Warner Music, are signed by BRH +. 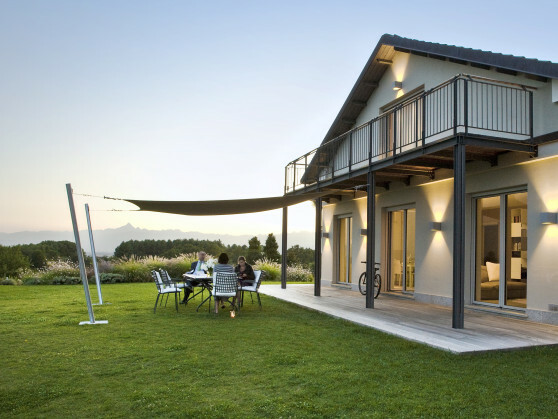 The new catalogue Products is the sum of LAGO thinking applied to all habitable environments, domestic and not. 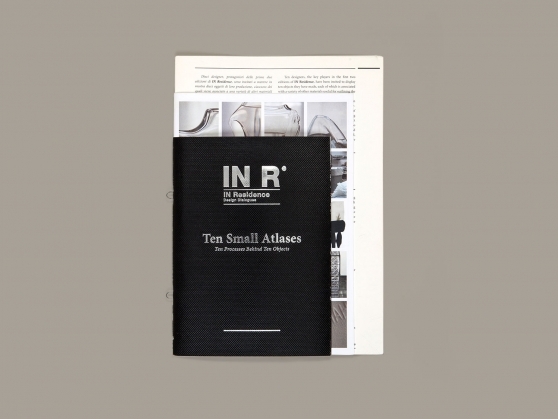 BRH+ is the art director of this macro-volume, innovative atlas for the identification of each product of the manufacturing company, illustrated in the context of a sequence of significant architectural interiors. 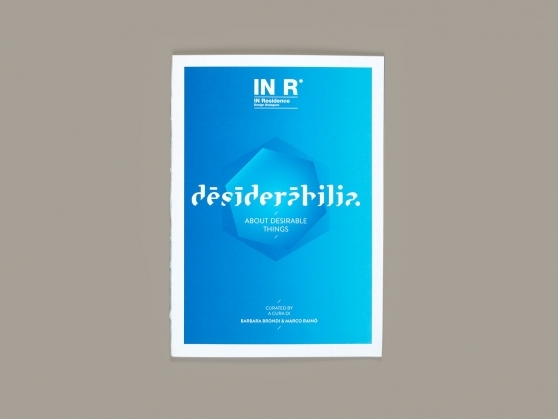 Il codice del nodo is the title of the latest Pensiero Radiale the theme column written by Marco Rainò for Icon Design. The article in the April issue of the magazine proposes a reflection in five episodes dedicated to the theme of the knots and interlacement. 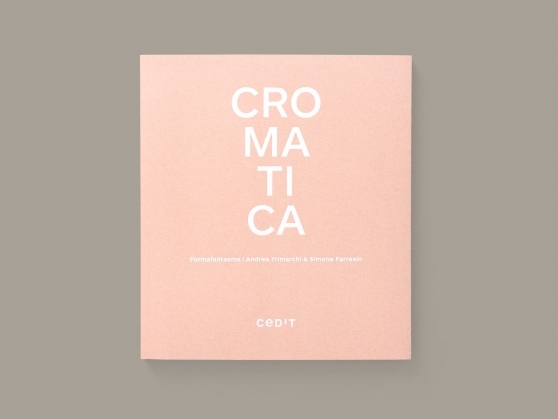 BRH+ is responsible for the concept and graphic design of the monographic books that present the first six ceramic tile collection realized by as many authors for CEDIT – Ceramiche d’Italia brand. 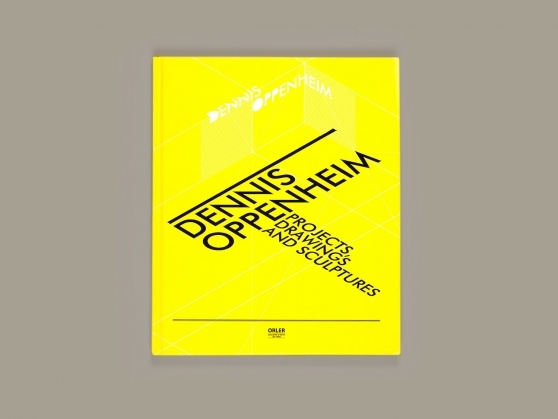 Accompanied by critics in-deph texts, the volumes add to the story of the individual projects a rich array of images. 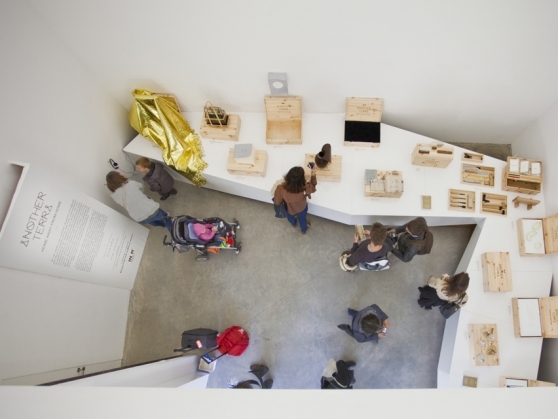 Talisman is the title of the group show curated by Barbara Brondi & Marco Rainò to celebrate ten years of activity of the IN Residence project. 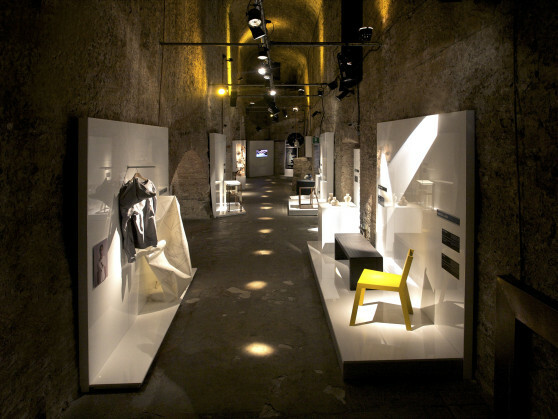 The exhibition will be presented in the marvelous setting of the noble manor Palazzo Clerici in Milan during the upcoming Design Week in April. 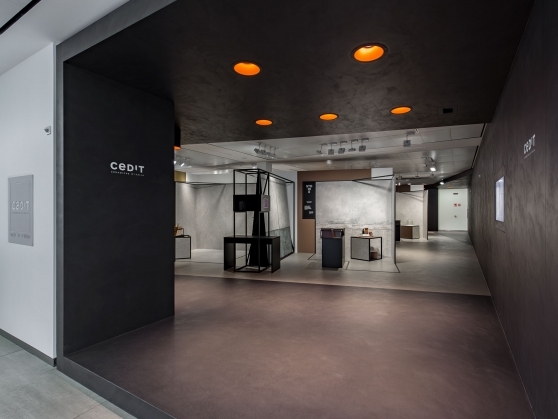 CEDIT opens a new showroom in Milano designed by BRH+. 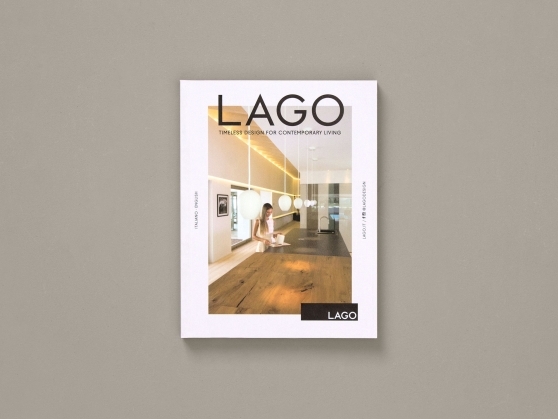 The art direction for the contemporary furniture brand LAGO moves in several directions: with Never Stop Designing Spaces the company tells its story, in a new publishing project for Rizzoli. 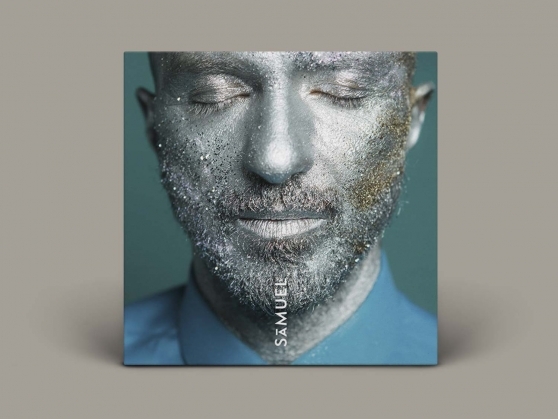 BRH+ takes charge of the art direction for the solo debut of Samuel, creating a complete visual strategy for the design of all the graphics and the Codice della bellezza a new font that takes its name from the title of the album. 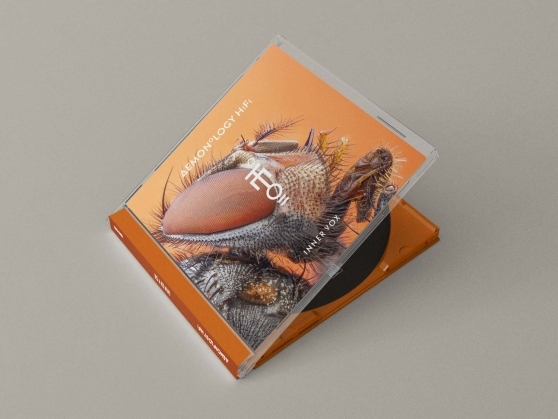 Demonology HiFi, the new sound project by Max Casacci and Ninja, has art direction and graphic design by BRH+; the album Inner Vox features imagery of insects macrophotographed and digitally enhanced. 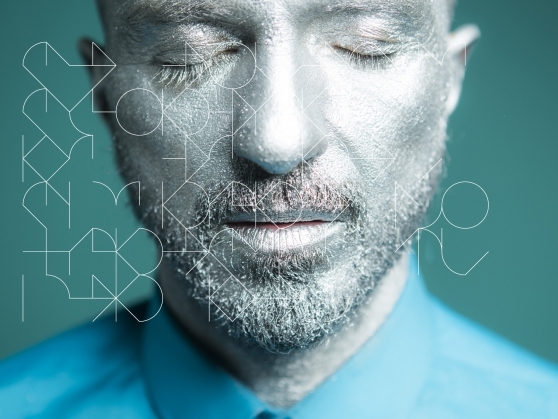 The Tattooed Body is the title of the latest Pensiero Radiale the theme column written by Marco Rainò for Icon Design. The article in the issue now on newsstands focuses in five episodes on indelible inks with which to decorate the skin. 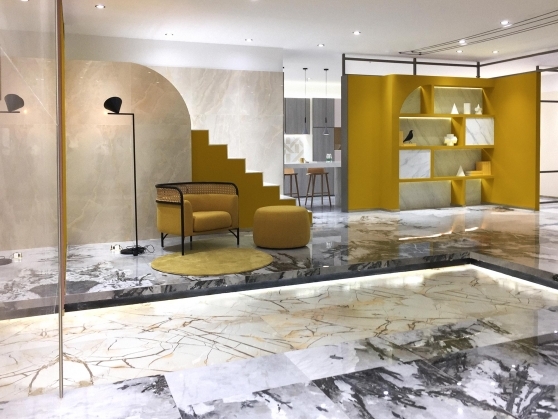 While waiting for the opening of the new Store in Milan, the Showroom of the brand CEDIT in Fiorano Modenese has been inaugurated, both designed by BRH+. 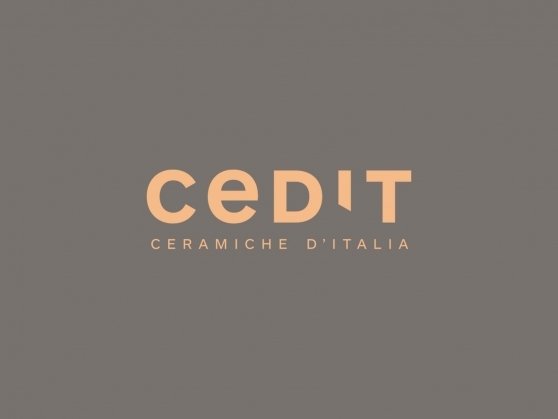 BRH+ | Barbara Brondi & Marco Rainò design the collection of ceramic tiles Matrice – disclosed in its complete range – for the relaunch of the prestigious Italian brand CEDIT – Ceramiche d’Italia. 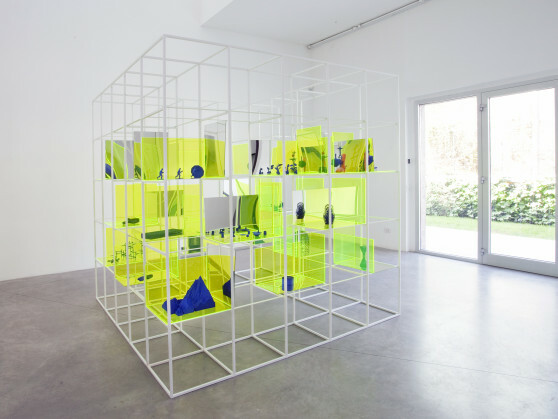 Marco Rainò writes the text for the exhibition of Nucleo at the Project Space del Centre d’Art Contemporain in Genève. 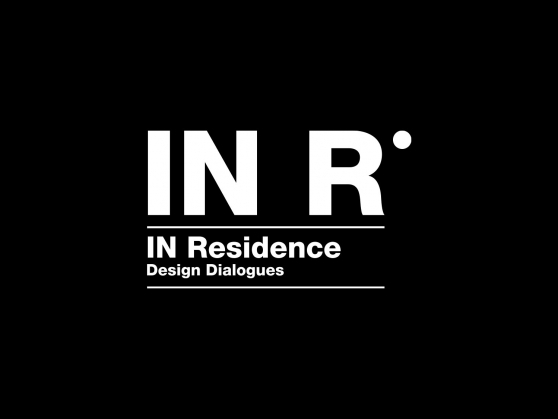 Imaginative Rituals is the title of the tenth edition of the Workshop of the IN Residence series, conceived and curated by Barbara Brondi & Marco Rainò. 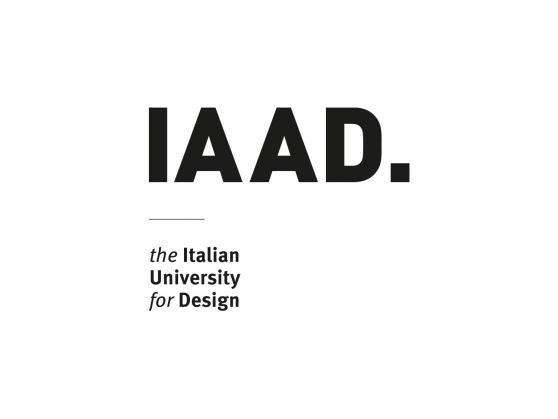 Saturday October 8th the outcome of the project and the works by the hosted international designers will be presented in a conference in Turin. 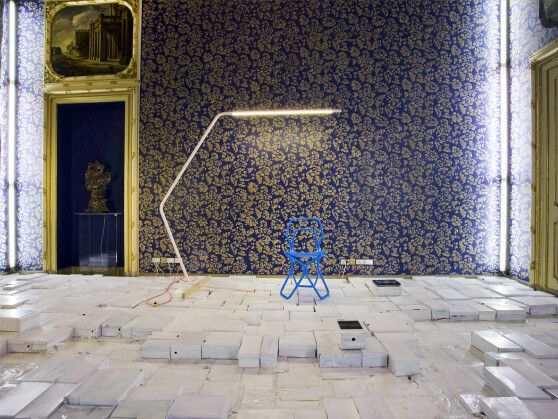 Marco Rainò is the author of the text for the photography exhibition of Simone Mussat Sartor Non ora, non qui at the Contemporary Art Gallery Alberto Peola in Turin. 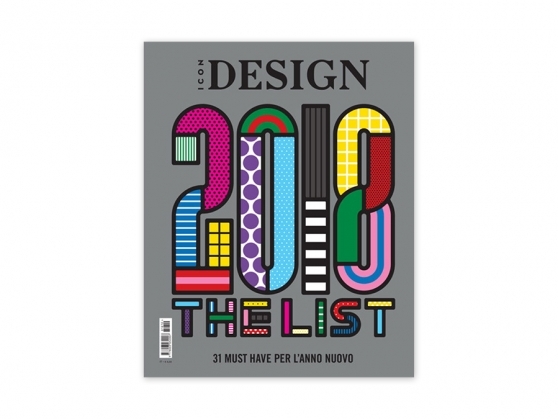 Out now the new issue of the magazine Icon Design with the text titled Cosmo Collage by Marco Rainò for his section Pensiero Radiale. 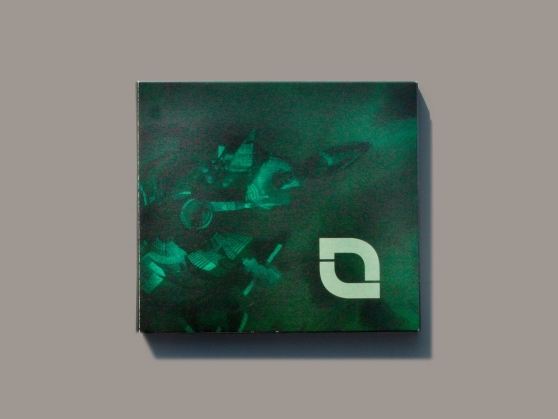 The new music project by Max Casacci and Ninja has the Art Direction and Graphic Design by BRH+. 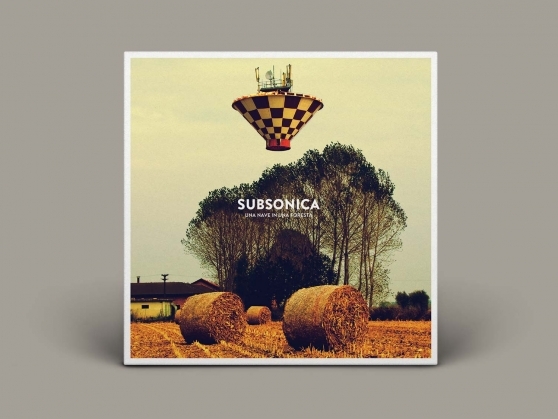 The single Totem is out prior to the launch of the forthcoming album. 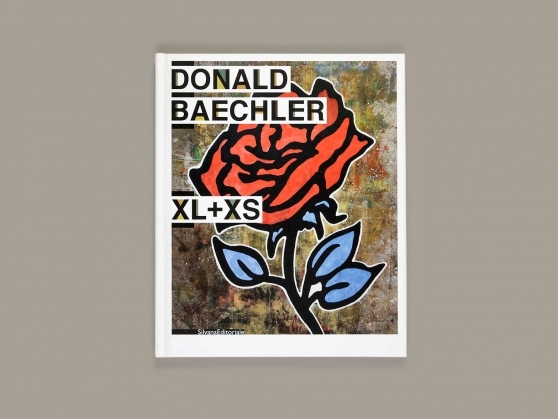 BRH+ is in charge of the Art Direction and Graphic Design of the new solo work by Samuel. 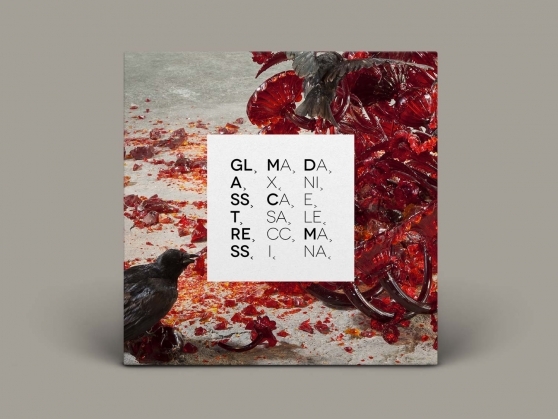 The new album, anticipated by the single La risposta, will be out in few months. 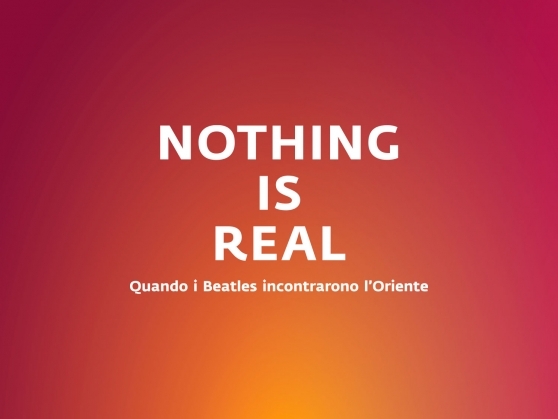 BRH+ designs the visual communication and the set-up of the exhibition NOTHING IS REAL – When the Beatles met the East for the MAO – Museum of Oriental Art of Turin. 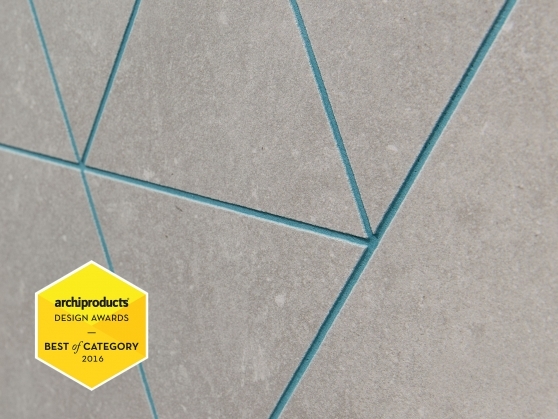 Cedit – Ceramiche d’Italia won the NYCxDESIGN Award, a global design competition in New York, in the category: Building Products. 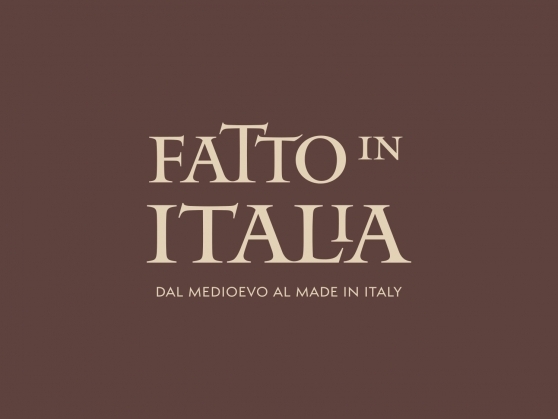 In the occasion of the exhibition Italian made. 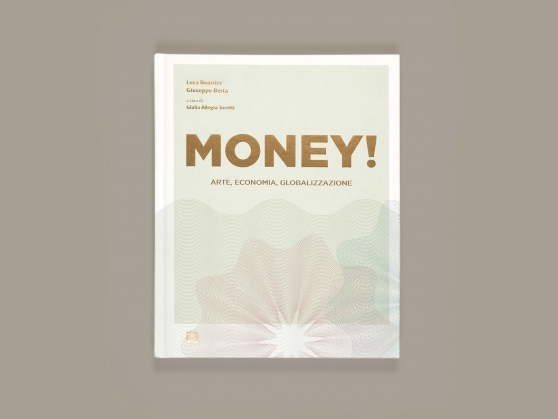 From Middle Ages to Made in Italy Barbara Brondi & Marco Rainò in conversation with Domitilla Dardi and Marco Romanelli. 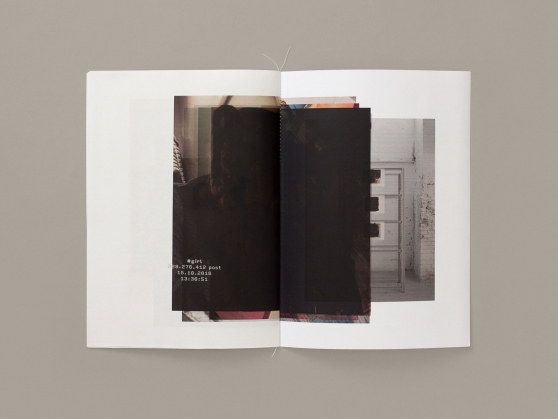 Barbara Brondi & Marco Rainò are authors of Visible Invisible, ninth book of the IN Residence. 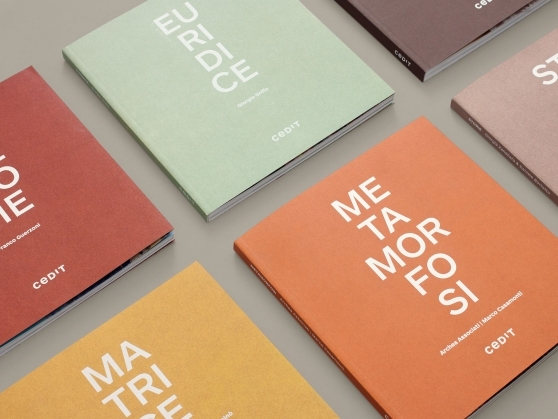 Design Dialogues collection, published by Corraini. 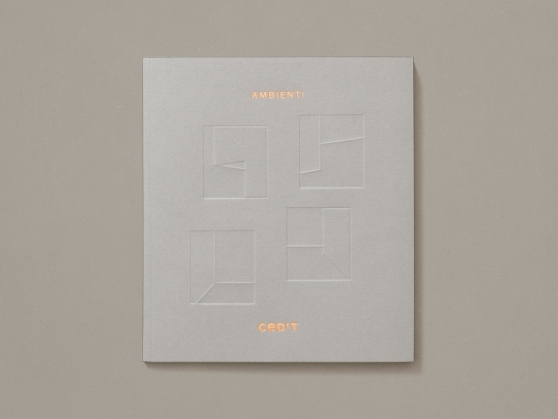 The book will be launched during the Milan Design Week 2016. 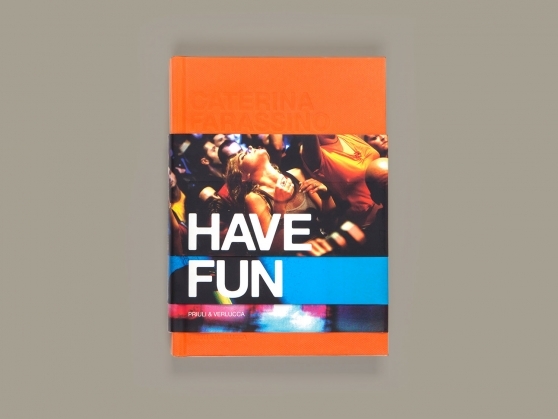 BRH+ conceived also the book’s graphic design. 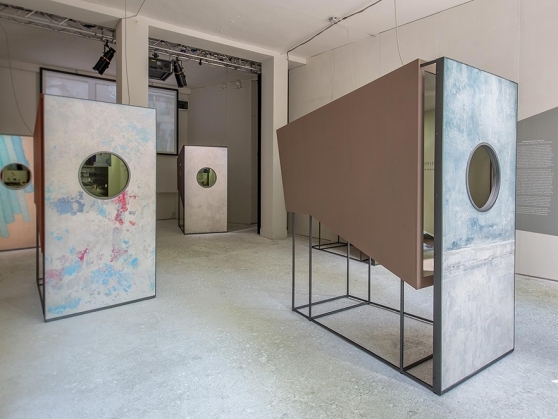 In the occasion of Milan Design Week 2016 for the prestigious brand CEDIT, Barbara Brondi & Marco Rainò will launch the collection Matrice that explores the consistency of cement according to an unexpected expressive range of surfaces. 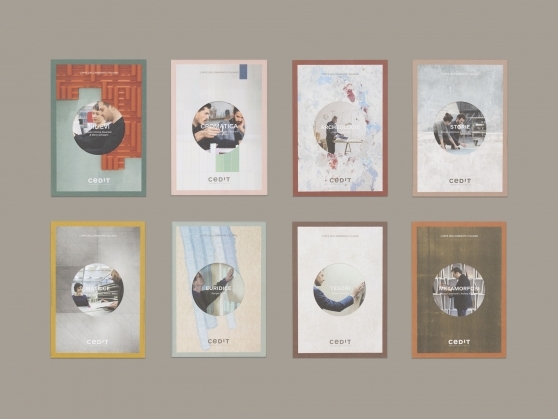 BRH+ designs the new identity of CEDIT, the historic brand relaunched by Florim and that has been for more than fifty years an important reference in the Twentieth Century. 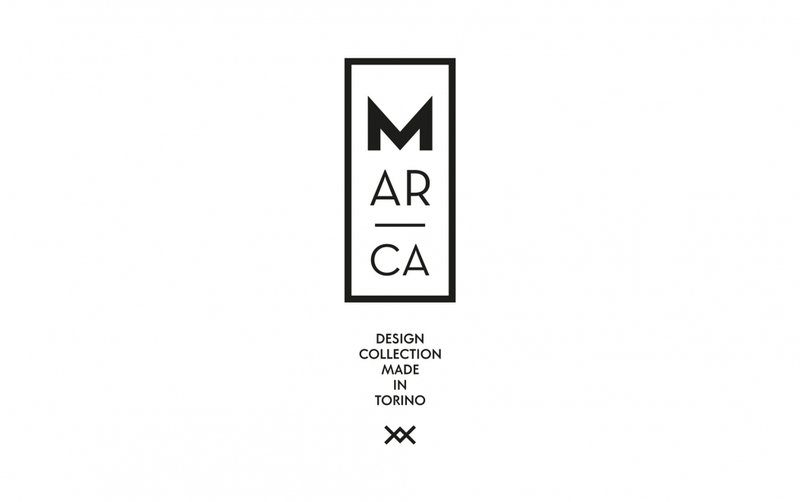 MARCA a project conceived and curated by Barbara Brondi & Marco Rainò it’s shown at the XXI Triennale di Milano International Exhibition, entitled 21st Century. 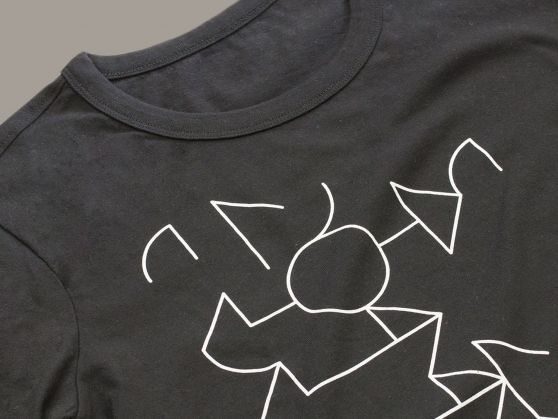 Design After Design. 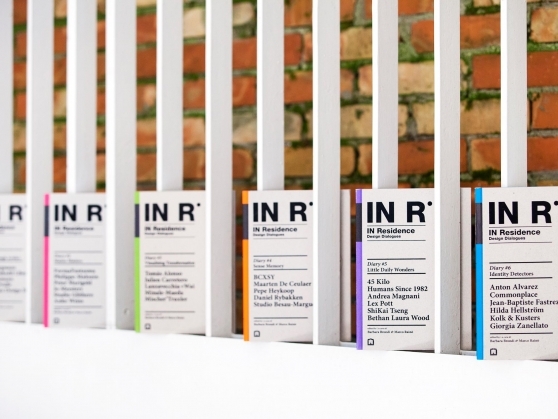 The new issue of Icon Design magazine is out now with the text titled Floreal Code, part of the column Radial thinking signed by Marco Rainò. 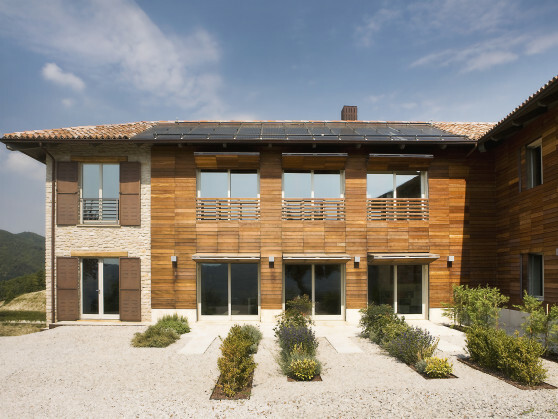 Marco Rainò is author of the text Architecture and Interior Design in Turin: A Short Story in Six Snapshot inside the book European Design Stories. 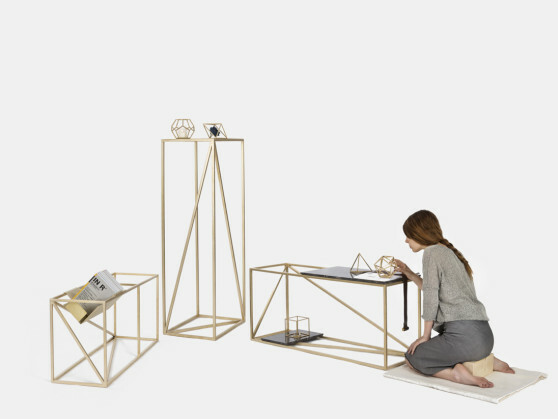 Barbara Brondi & Marco Rainò continue in the Art Direction task for the innovative contemporary furniture brand LAGO, that for the occasion of the Milan Design Week 2016 launches the new communication campaign NEVER STOP. 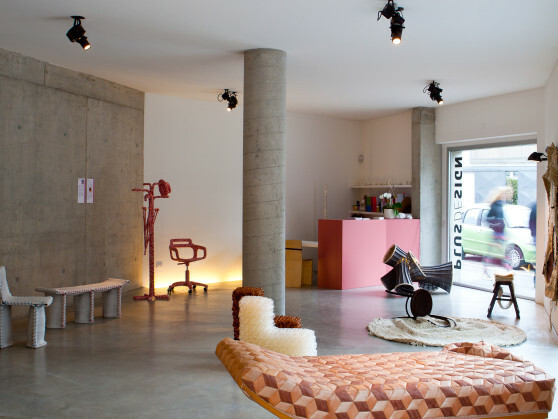 After signing the first four, BRH+ designs exclusively for LAGO the new Interior Mood Ever-Changing Home. 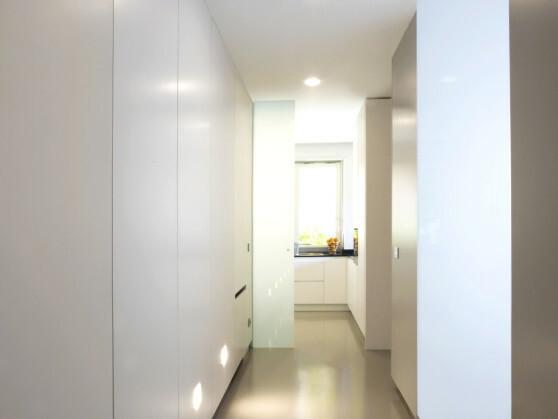 With this series, a system of interior decorations are introduced to characterize and identify the interior architectures. 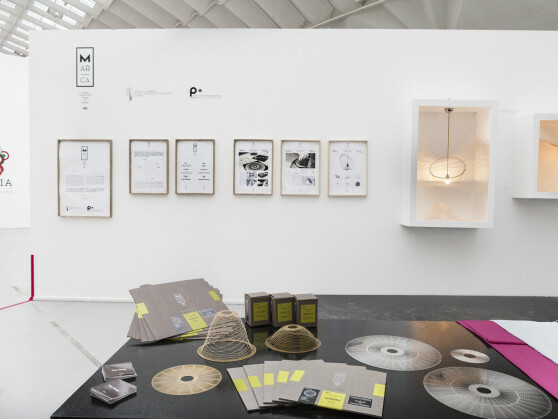 Barbara Brondi & Marco Rainò are curators of the section Made in Italy. 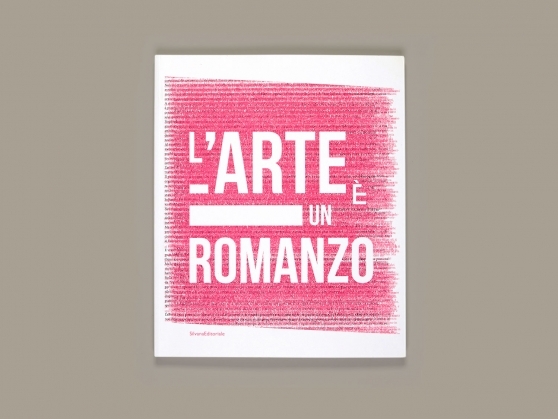 Contemporary Poetics, part of the exhibition Italian made. 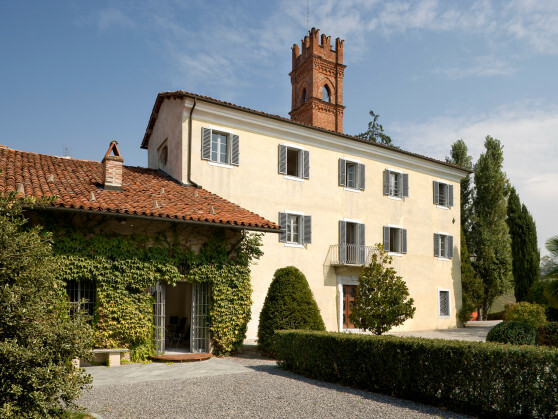 From the Middle Ages to Made in Italy in the prestigious set up of the La Venaria Reale palace. 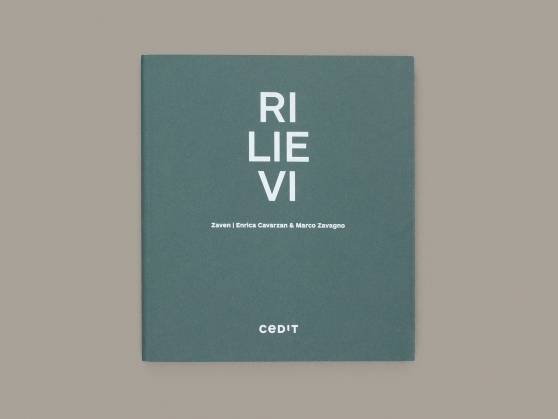 Marco Rainò and Gianluigi Ricuperati are authors of Visiorama Lingotto, the new booklet of the well-known collection published by Corraini, that illustrate and discover the events related to the astonishing architecture of an historic building, the Lingotto in Turin. 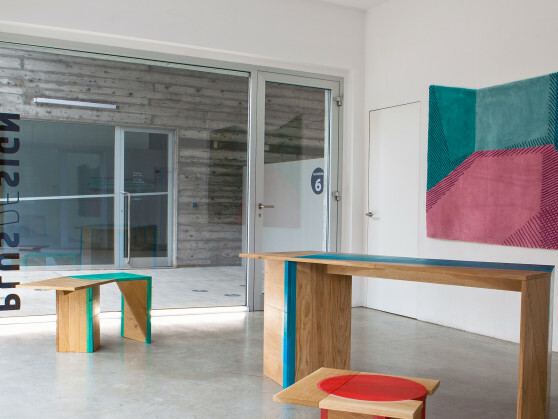 Barbara Brondi & Marco Rainò have been invited by Angela Rui and Maja Vardjan curators of BIO Ljubljana Biennial of Design 2017, in a conversation with Gianluigi Ricuperati, Italo Rota and Cristiano Seganfreddo.